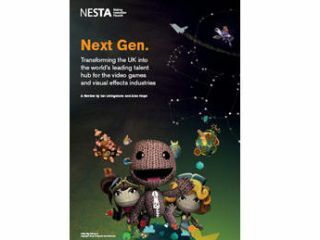 The UK's gaming and visual effects sectors are suffering because schools don't understand the industry's needs, according to the Livingstone-Hope report released today. The report raises concerns that the UK is losing its footing in the global gaming market because the robust visual effects industry has had to resort to bringing in talent from overseas to compensate for a lack of skilled British workers. "The sad truth is that we are already starting to lose our cutting edge: in just two years, it seems the UK's video games industry has dipped from third to sixth place in the global development rankings," the report states. The report was commissioned by Ed Vaizey, minister for culture, communications and creative industries, and was conducted by interviewing young people and parents, teachers, university course assessors and relevant employers, as well as by carrying out an online talent survey. Having gathered information about the state of games-relevant education, the report lambastes schools for focusing too heavily on office-based ICT skills, rather than computer science and programming skills. Universities also come under fire for the many 'flawed' degree courses offering video game and visual effects skills that fail to prepare graduates for actual jobs. The report makes twenty recommendations to address the skills shortage, including adding Computer Science to the national curriculum, requiring schools to offer a GCSE in computer science and building an accredited skills system. Ian Livingstone, founder of Eidos and co-author of the report, comments, "There is a generation of young people who are passionate about playing games, yet they don't know that a development industry is well established in the UK, or which subjects they need to pursue a career in the industry. "Now is the time to invest in talent by equipping them with skills for the digital age. This is not about additional funding. It's about re-directing existing resource to have the right mix of subjects to prepare our children for a digital world and its creative and commercial opportunities."